Workshops - Ursula will work with you to plan a project that will be fun, engaging and educational using her experience as a primary school teacher to enhance the Creative Curriculum. 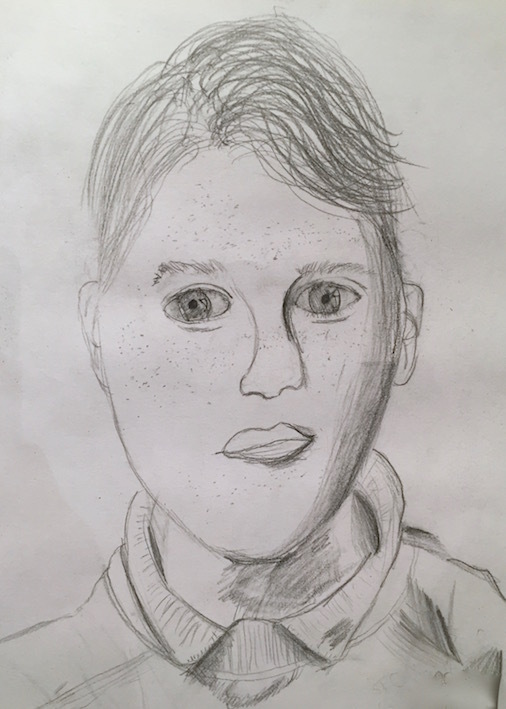 A project can involve children in all aspects of designing and creating either a permanent piece to hang in school or individual works of art. Workshops start at £250 (inc materials) for a full day working with individual groups or whole school. Mosaic and living willow workshops can be a little more due to the higher cost of materials. PPA cover - Ursula's up to date primary experience means she can deliver all elements of the Art and Design curriculum as PPA cover. Please contact for further information. 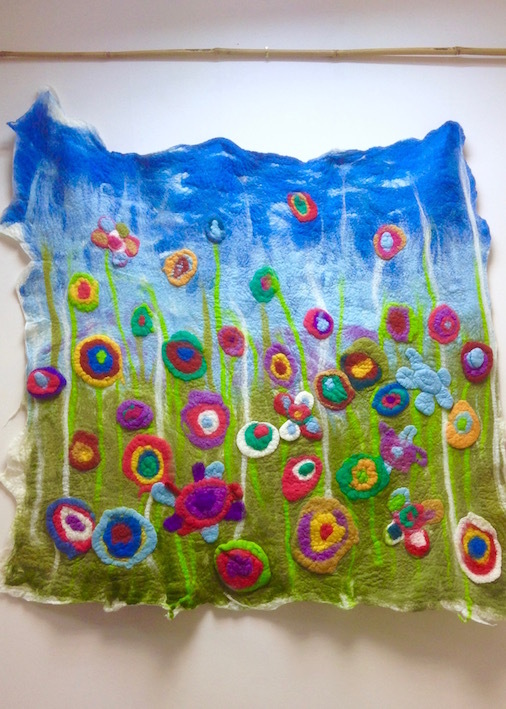 Wet Felt making workshops can be used to teach textiles in the curriculum. Large, permanent wall hangings or small decorative individual pieces can be created using warm soapy water and lots of friction. This fascinating ancient craft can be taught from Reception to adults. Whether creating a simple flat felt square for the first time or 3D sculptures felting always leaves you wanting to do more. Click image for prices and more details. 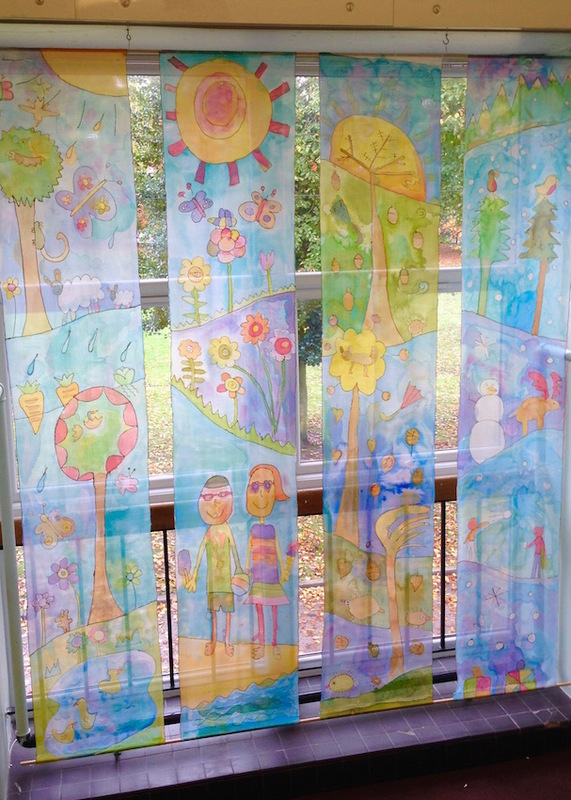 A great textile workshop, silk painting is a calm and remarkably satisfying activity. The children's initial sketches are collated and drawn with Gutta Outliner by Ursula onto beautiful fine silk before the workshop. 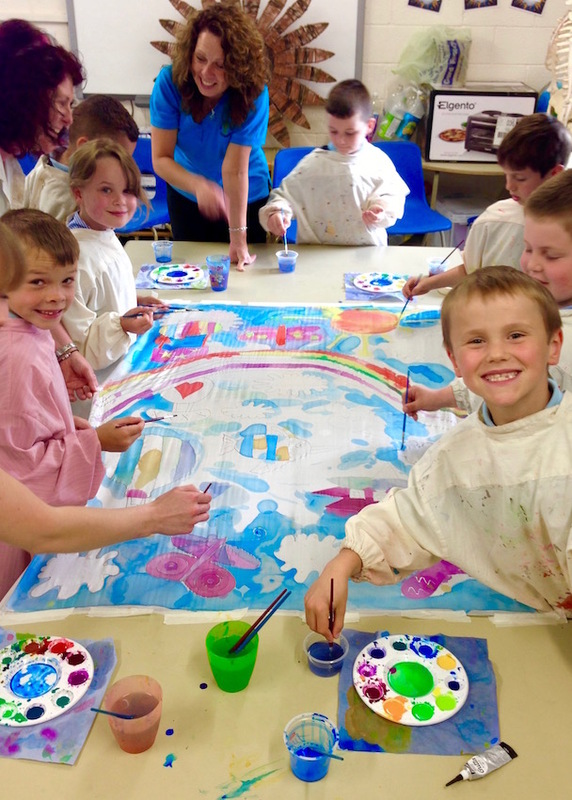 On the day children are taught how to paint with special silk paints creating a large wall or window hanging . Fancy something a little retro? Children love this colourful yet simple process which can be enjoyed from toddler to adult. Once the beautiful fabric is created it can be used for bunting, play/reading tents, t shirts, flags etc. Learn about layout, line drawing, shading, colour mixing, brush control etc. This one day workshop is suitable for both KS1 and KS2 and can include work on other artists to match a chosen topic.